This is the sixth in a series of blogg posts from the seminar being written by the participants themselves. After much smiling “cheesing”, “Bücher Berg snail-ing” and “muesli-kochen-ing” The group Photo was taken outside the celtic house. We came back to the centre for warmth and (you guessed it) more coffee. After a few rounds of ‘Spijer reis’ we began the session “goose network info” where thanks to some pretty graphics we learnt all bout the different centres and the goose network in whole. Then we finished off with some colourful evaluations and stickers 🙂 Deciding what to throw in the bin and what we want to take back to our countries and centres. Ex. Coordinator for Goose-Network 2012-2014 and de-facto coordinator 2015. Former resident program manager at Vässarö and generally a nice guy. 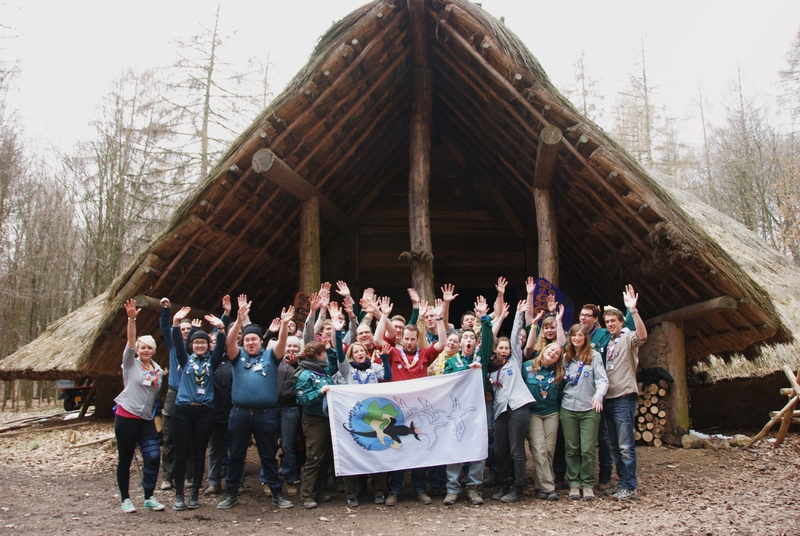 Member of European Guide and Scout Centre Managers Conference 2013, 2015 and 2017. This entry was posted in Staff Seminar and tagged photo, staff seminar. Bookmark the permalink.